I started with aquariums back in the 70's, when you bought fish, bought them home, floated the bag to equalize the temp and dumped the in the aquarium. Now things are a lot different. I am trying for the 4 time to have a shrimp tank. So far this time so good. Have a question tho. How often do I need to do a water change on a 10 gallon shrimp only tank? Yes i have good water perimeters, and they seem to be doing fine. I change about 1/3 of the water every 2 weeks, adding the fresh water thru a slow drip. 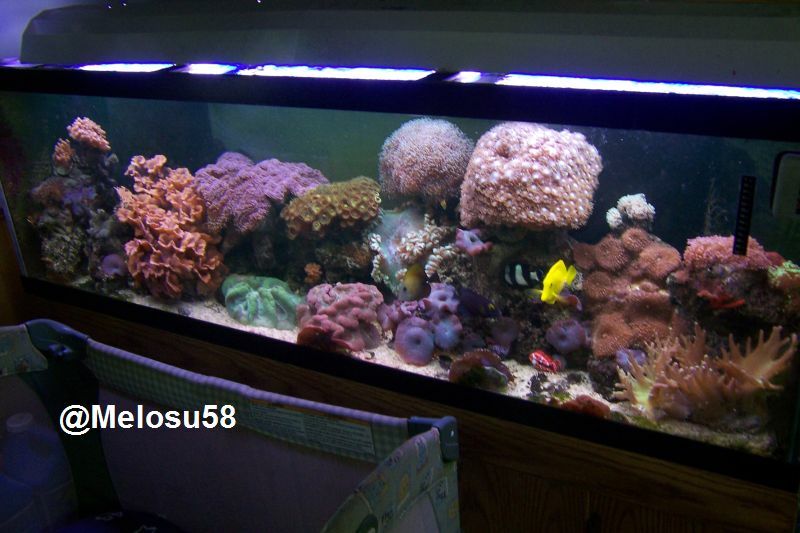 Yes it is a heavily tank, and I use ECO Complete as a substrate. I figure at $.39 per shrimp at Pet Not So Smart, what have I got to lose. LOL. There is about 10 shrimp in the tank at the moment. Any advice would be greatly appreciated. BTW I have a 10 and a 75 up and running at this time. The 75 has ghost shrimp, Cories and Cherry Barbs in it now. The cories are mating like rabbits and I have eggs stuck to the glass all over. So far 1 has hatched and is doing great. I have a 110 that I need to reseal and will have it up this summer, maybe late spring. I wouldn't see anything wrong with changing out 50% of the water weekly. Why not? Welcome. One thing hasn't changed and that's keeping the tank clean with large, weekly water changes makes for a trouble free tank and a successful tank keeping experience. The article link below has a bunch of great information. The biggest differences then and now, is that you can know that a beneficial bacteria colony is established after a seeded cycle, a fish in cycle or a fishless cycle and you get to test the water to know where you stand!!! You use the same filter pad until it falls apart. And there are other great filter media options too like Matrix, and Marine Pure and others!!! Welcome! Been through a lot of trial and error myself back then. is easier to find. Can't tell you how many books I read back then. Not too familiar with shrimp, aside from salt water cleaner shrimp. Hello Bob, For shrimp only tanks I personally do not follow the 50% per week rule. I try to match my existing water conditions and temperature. Conditioning the water is extremely important. One bad water change can wipe out your colony. I do 20-25% every other week. I feed only 3-4 times a week and I feed lightly. The tank is thick with plants and well established so there is lots of biofilm.